The Friends of Dance at the University of Mary Washington in Fredericksburg, Virginia, strive to unite the dance community on campus and in the greater Fredericksburg area by hosting dance concerts and fundraisers, and awarding scholarships. Dance expresses the heart. Join the movement. 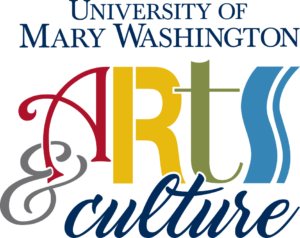 The mission of the Friends of Dance at the University of Mary Washington is to support, encourage, and promote the art of dance at the university. As such we have established three endowed scholarships named for former Mary Washington College dance professors and advocates. The Friends of Dance strives to unite dance at the University of Mary Washington with the Fredericksburg dance community through promoting and hosting dance concerts. UMW students and faculty join local dance companies and artists to promote dance in the community and to raise money for the two annual scholarships. Students, prospective students, alumni, and performing arts enthusiasts in the Fredericksburg community are always invited to UMW dance events. Discover the opportunities that the Friends of Dance and dance students at UMW offer to the campus and Fredericksburg community. Professional dancers, individuals, students and local studios all join together to advance the art and joy of dance in the Greater Fredericksburg area. No matter what your age or skill there is a place for you to get involved by spreading the word, donating time, money or resources and lending a hand at upcoming events.